As the universal language of human beings, music is one of the best ways to learn about and experience another nation's culture. This also holds true for the Chinese Music Culture International Summer Institute, a study program established in 2014 that holds in-depth cultural exchanges with young musicians from around the world. 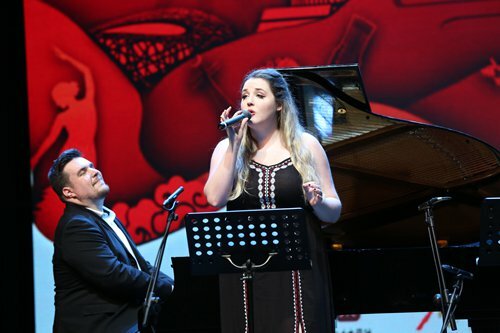 This year's program, hosted by China's Central Conservatory of Music, gathered together 50 teachers and students from eight world-renowned music schools in Beijing on Saturday. According to Zhao Min, party chief of the Central Conservatory of Music, this marks the first time that Romanian students have participated in the program. The students will spend nearly three weeks together with other students to learn about Chinese music culture and how to play Chinese instruments. "The traveling students and I learned so much from the expert lectures on traditional Chinese music and aesthetics, and gained a special perspective on the composition and performance of traditional Chinese music," Matthew Devost from Carleton University in Canada, a young musician returning to the program, noted, recalling his previous experiences taking part in the program. "It was also a great opportunity to sample some of China's contemporary music and also world fusions," he added. Devost wasn't the only returnee. Megan Hill from Michigan University returned to take part in the program this year, but this time in a different role. Megan noted that after learning and experiencing Chinese culture through the program, she decided to return this year as a guest researcher to carry out more in-depth research about Chinese culture. According to Zhang Lexin, the head of the program, all participants must meet certain requirements to join the program, to include majoring in music and having a willingness to introduce Chinese culture to their mother country. At the conclusion of the program on July 29, the participants will hold a concert to showcase everything they have learned during their time in China.